Unusual original Japanese flint lighter netsuke. 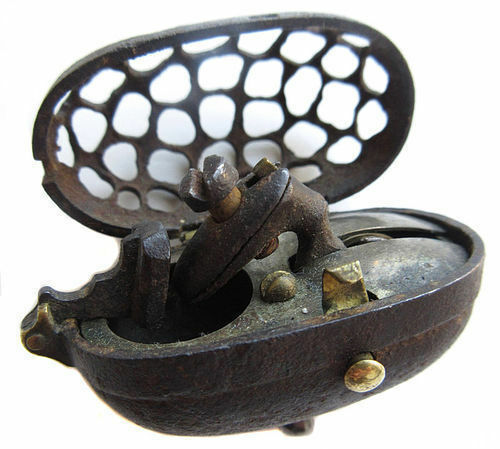 Constructed of iron and brass, this piece would have been used to create a steady fame in less then perfect conditions. The striker would create contact friction and create a spark igniting the fuel source. Firearms at this time required a flame in order to ignite the fuse. Original russet patina with all parts still intact. 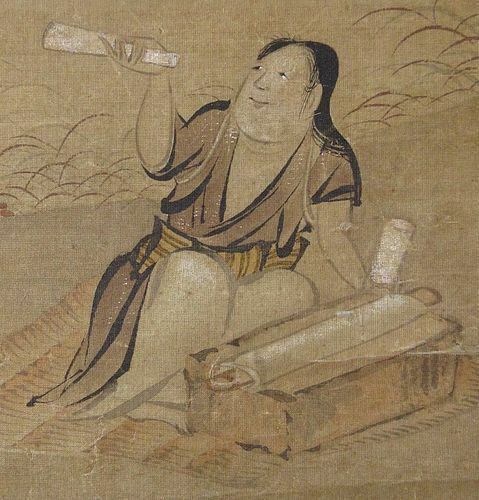 The netsuke is made in the shape of a matchlock pistol. It is composed of different material such as wood, brass, and iron. 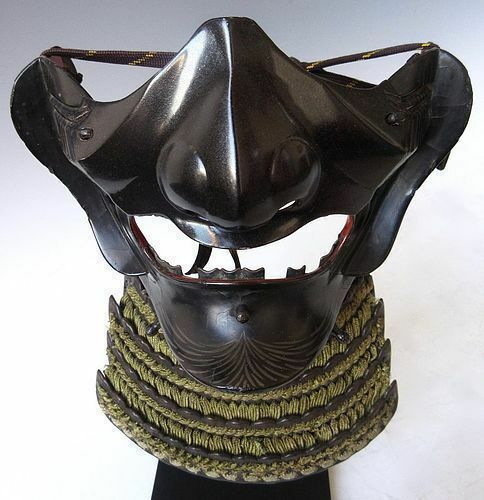 Handmade during the Meiji period for the European market. Mounted on a custom iron stand. A powder flask of a natural painted turtle and fitted boxwood nozzle and stopper cover. The skeletal shell of the turtle is smooth with a warm tone patina. The flask is attached by a silk chord to a piece of circular boxwood toggle that could be slipped into the belt. Mounted on a custom iron stand. 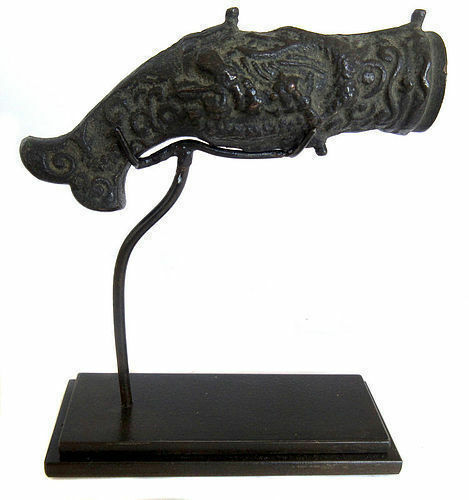 This bronze cast cannon is decorated in low relief of a coiled dragon. 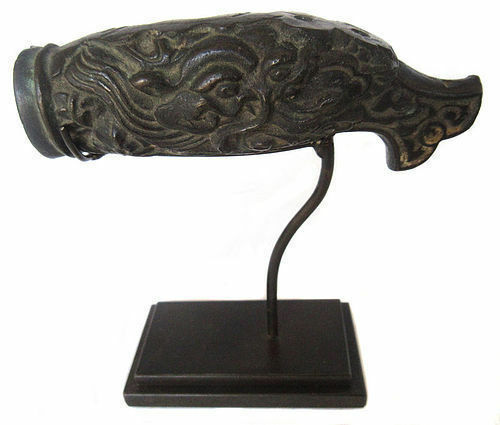 The fish like handle stock and representing a carp is in homage to the original purpose of such cannon. 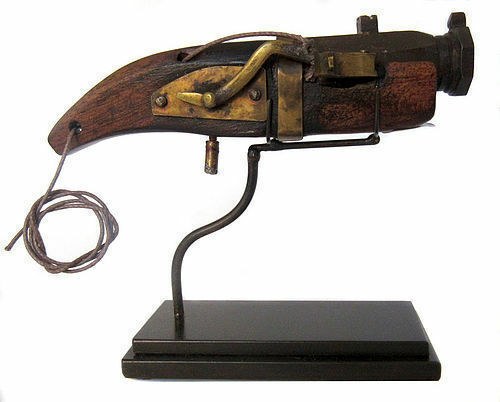 These examples where used to shoot flaming signals from ships at sea. 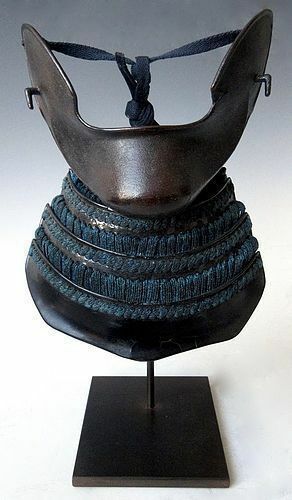 Mounted on custom Bronze stand. Pitting finish shows indication of sand casting. Fine detail shows high level craftsmanship. The bronze cast cannon is decorated in low relief of a coiled dragon. The shape handle stock and body represent a carp. The signaling cannons shows a smooth casting which indicates it was lost cast from wax. Fine detailing shows high level of craftsmanship. Mounted on custom Bronze stand. 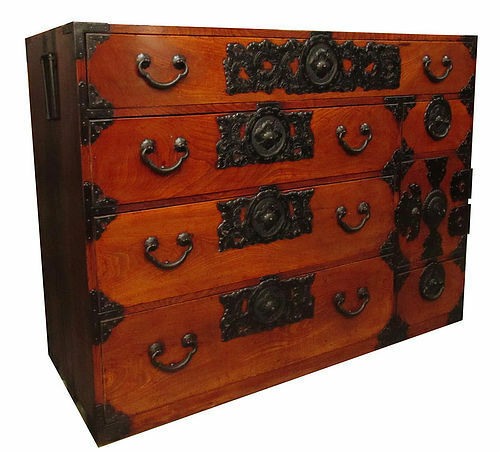 Antique Japanese isho tansu (clothing chest) from the Sendai area, made with all Keyaki (elm) wood front with dramatic grain and translucent lacquer finish, elaborate thick iron hardware including moko shaped drawer pulls and ornate raised scrolling vine lock plates with floral mon, large drawer on top, three shorter drawers, two small drawers and a safebox on its right side, which also has ornate iron lotus mon and opens with a ring pull.